2. 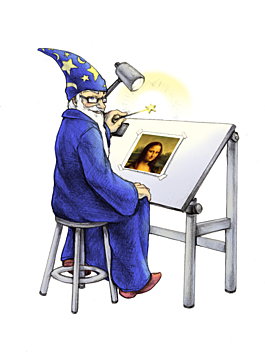 Install Entropy PHP (note: this will modify your SL Apache config files). 3. Or just be lazy and install MAMP (Macintosh, Apache, MySQL, PHP) in a few seconds. 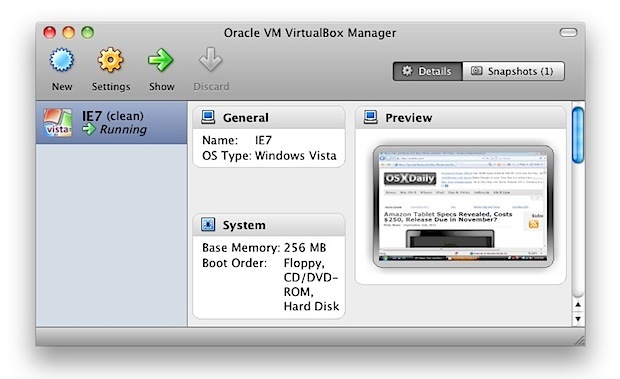 5. it’s easy to uninstall. This is particularly useful for content editors who have phobia of terminal windows (I don’t blame them). Hopefully some developers will find this useful too. 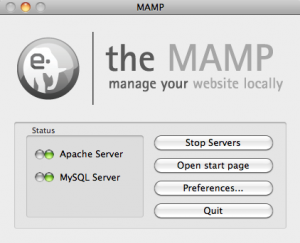 After you’ve downloaded and installed MAMP, you’ll notice that the installer created /Applications/MAMP directory. Launch your MAMP Control Center, start your services and away you go. By default, your Apache web server will run on port 8888. You can change this to port 80 in Preferences, but if you do that you will have to make sure that your OS X Web Sharing is stopped. 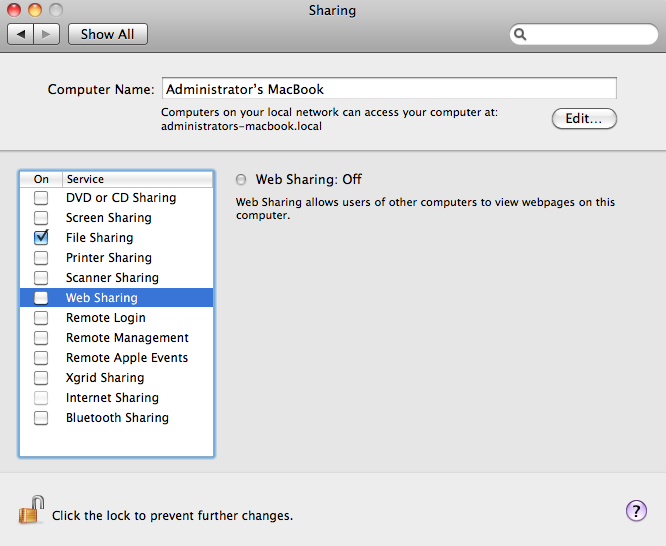 You can stop it in System Preferences=>Sharing=>Web Sharing. If you ever want to uninstall MAMP, all you need to do is Trash /Applications/MAMP directory and you’re done. It’s simple and clean.